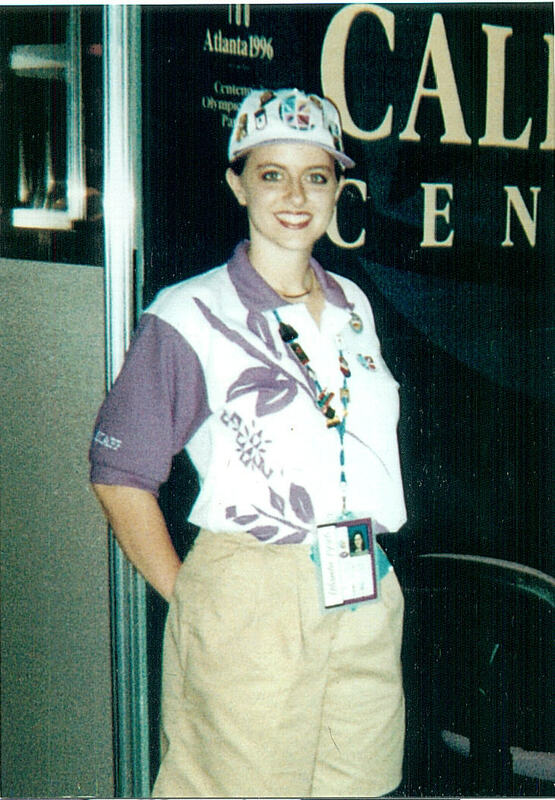 Jamie worked in the 1996 Olympics manning the AT&T Call Center located in Olympic Park. This Call Center provided people with free local calls. On the night of the bombing in Olympic Park, Jamie would have been walking right past the tower as the bomb exploded had AT&T not changed their closing procedures that day and kept her an extra five minutes! 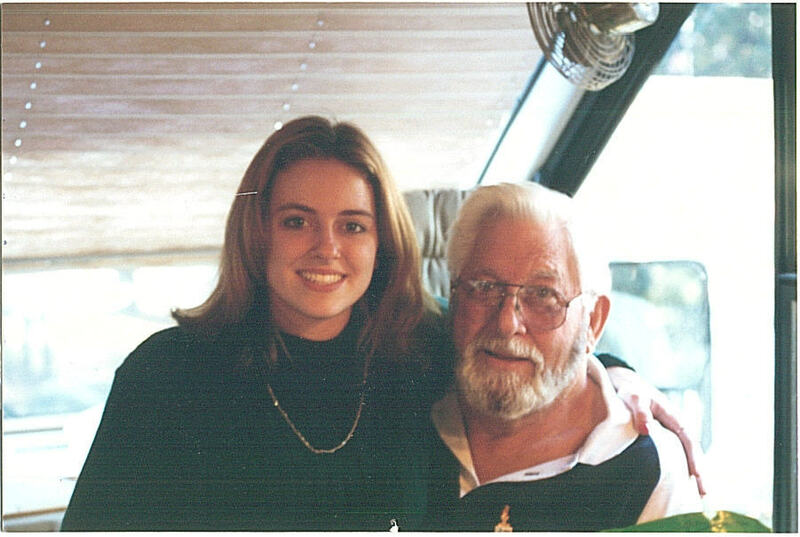 Jamie is posed here with our Grandfather on my Dad's side Doug Quillen. This picture was taken at the Mountain Lakes Resort in Helen, GA where my Grandparents stay part of the year. 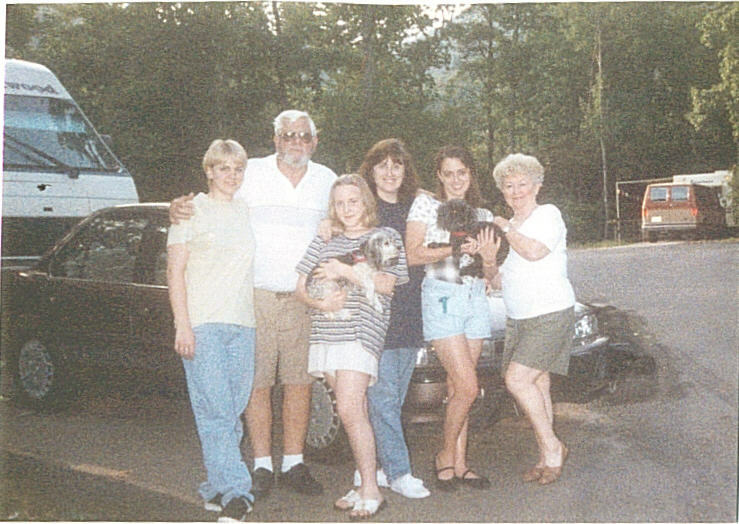 Family Photo at Mountain Lakes Resort, GA.